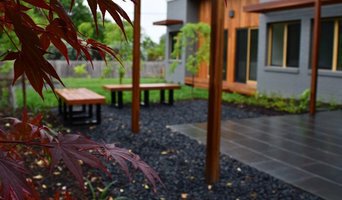 GardenSpace is a Canberra-based landscape architecture firm specialising in designing outdoor spaces that connect people with the places they live and work in. We believe that everyone should have access to beautiful, restful outdoor spaces, and see the garden as the most important room in your house. We see each project as an opportunity to achieve a unique design that reflects the needs and character of the clients and the natural attributes of the site. To achieve all this we listen!! We place strong emphasis on quality solutions and personal service, working strongly with our clients. Our approach is to enter a collaborative process with you, to understand what it is you enjoy, how you hope to use your garden, and what you need from it. We develop and craft the final details with you to achieve a result that is more than just practical outdoor spaces - it is a garden you love to be in. 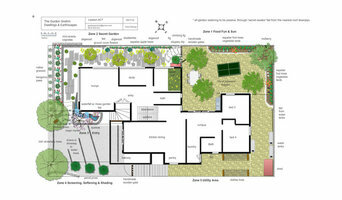 Soul2Soil Landscape Design Pty Ltd is a professional design consulting firm specializing in residential and small to medium commercial sized Landscape Architecture projects. Our design focus concentrates on delivering innovative, sustainable and functional outcomes whilst acknowledging the client’s wants, needs and budget. Kate O’Hara has experience and capability in both design and planning, which has resulted in the creation of unique, engaging and memorable outdoor spaces. The construction process requires the arrangement of subcontractors who work with Soul2Soil and are industry professionals with practical experience and knowledge. Over the last 15 years, our passion for landscape design, construction and maintenance has created exceptional residential and commercial spaces all over Canberra and beyond. Please enjoy browsing through a small selection of our recent projects. The Gordon Gnohm specialises in building Ecosystems. We do this with three simple steps First we consult with you, the client, The initial consultation is about having a conversation with you, and listening to your current and future needs. 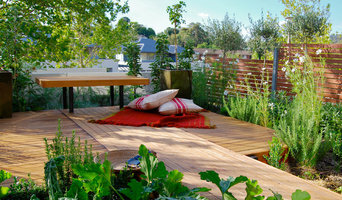 Also talking about the lifestyle desired from the landscape transformation. The local aspect and micro climate are critical factors noted in the initial onsite consultation. From the consult we produce a design with a brief. 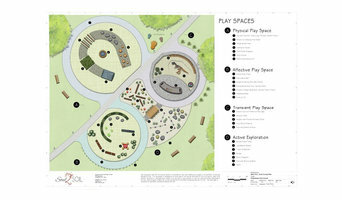 Usually the design and brief will be produced within 2 weeks of the initial consultation. and may require several visits from our Ecological Designer to your site. Once the design is accepted, we can implement the design and manage the project. We can also work along side you, project by project, helping any way you need. Job costing and timeframes can also be provided at your request, to help all parties to stay on time and on budget. From start to finish we have got you covered. By replicating systems already designed by Mother Nature, your yard can be transformed into a living ecosystem, meaning less work from you and more time to enjoy your family and your home. 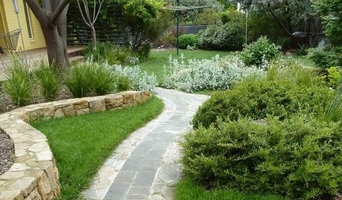 with 25+years working in Canberra Region gardens, I can help you grow your own lush Garden of Eden almost anywhere. I specialise in passive watering systems, storing water in the ground right where the tress and shrubs need it most I live off grid and Im establishing a homestead in the bush, so I'm practical about what can and can't be done, and Im very creative about what does get done. If you are looking for a new landscape at your place, and you want it to be just like nature intended, Call today and get your Dream underway. VRD has earnt a reputation for being reliable, knowledgeable, responsive, and successful for delivering approvable architecture. We understand the constraints of budget, of locations, and of governmental bureaucracy. We use our extensive knowledge to create the best possible outcomes for our client. Local Canberra design practice that services the Canberra region and surrounds. With experience in residential garden design, commercial projects, multi unit developments, parklands, playgrounds and EDP's. Area Design Consultants is a multi-disciplinary consultancy providing landscape architecture, urban design, architecture, interior design and horticulture services within Canberra and Southern NSW. We have a strong commitment to the region and the unique character and design opportunities it offers. We offer thoughtful and considered designs which create meaningful and nourishing spaces and places. Our designs are site specific and responsive, providing beautiful spaces which work with existing features and which seemlessly integrate landscape and architecture to provide effortless transitions which enhance both internal and external features. Our designs offer another way being, seeing and experiencing. Our knowledge and understanding of colour, materials and plants allows each design to express its individuality and its character whilst also offering a design aesthetic which reflects and responds to the contemporary context. VRD Developments are the creators and developers of The Pod Canberra. The high-end Rolex style of secondary residence/ granny flats. Our architecturally designed Pods are a modern take on the granny flat / secondary residence in Canberra. We have a sleek linear design with large glass doors, wooden feature cladding, and spacious internals. The overall appearance is aesthetically pleasing home that can be painted to match the existing property on the block. Each of our Pod designs are specifically designed for disability use. Only minimal conversions will be required to make the POD completely accessible for people with a disability. A design acceptance report from a disability architect is our guarantee that your Pod will meet those requirements Canberra is a perfect place for you to build a Pod. The traditional house and land is becoming more expensive for the younger generation to buy. Young families are living at home with their parents, or in small homes that won’t be able to sustain their future family growth. Having a Pod has allowed young couples to have a bigger backyard with bigger living, while being close to family or friends and enjoying suburban life rather than high-rise apartment living. Parents or families have wanted to keep their family and friends closer to still have connection, yet their own space. Therefore building a Pod is perfect for accommodating visitors or housing older kids that enjoy living at home with their own independent access as well. The older generation want their own space while still being close to their kids and grandchildren. Not all elderly are willing or wanting to be put in a nursing home, therefore a Pod in the backyard can be an ideal alternative. The Pod is also ideal for the Canberra property market as a great investment to the existing home or an additional form of income to the household by renting out the Pod in the back. BRUCEWORKS Design is an experienced, highly qualified team of professionals that have the skills to design every aspect of your home - inside and out. Working together, our team of architects, landscape architects, kitchen and bathroom designers, interior decorators and pool designers can help bring your dreams to life, whatever they may be. What’s more, BRUCEWORKS will tailor the design to your budget, and listen to your feedback and make amendments as required. Your BRUCEWORKS project will feature state of the art energy efficient appliances and fixtures (such as LED lighting), and we will ‘keep it green’ with sustainable soils, low water needs planting structures and efficient irrigation systems. And because BRUCEWORKS is a licensed builder, the design team is actively involved in the project right through to completion. Houzz is a great place to start your search for the right Canberra, Australian Capital Territory landscape architect or designer. You can either browse outdoor photos and find professionals linked to them, or you can browse our professional directory, see their latest projects, read reviews, and narrow down your search based on your style preferences. Once you’re down to a few, reach out and get some quotations to make your final choice.